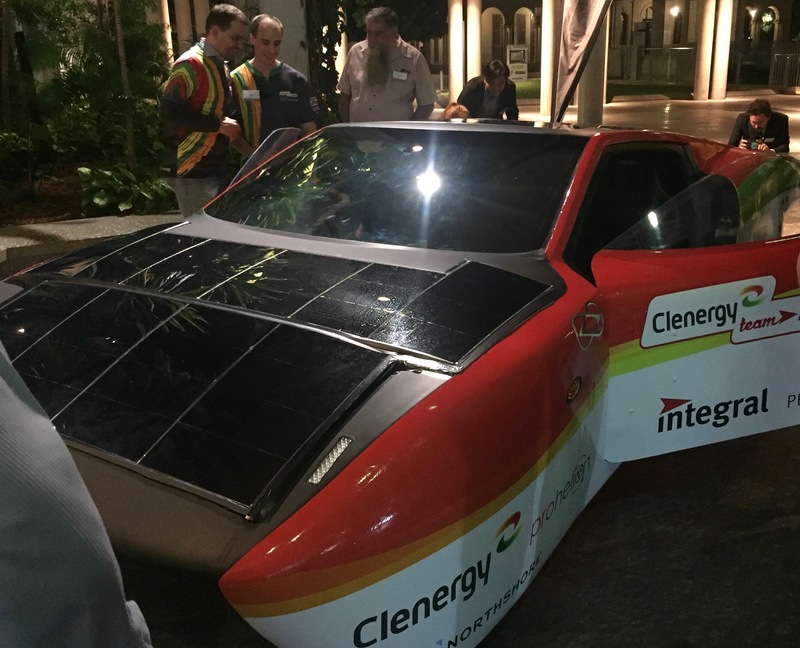 As a minor sponsor we were at the launch on Thursday of Clenergy Team Arrow’s commercial solar car and we’re impressed by its credentials. The launch was held at QUT and they showed us a 280 kg vehicle designed for two passengers and running on the same power as our electric toaster. 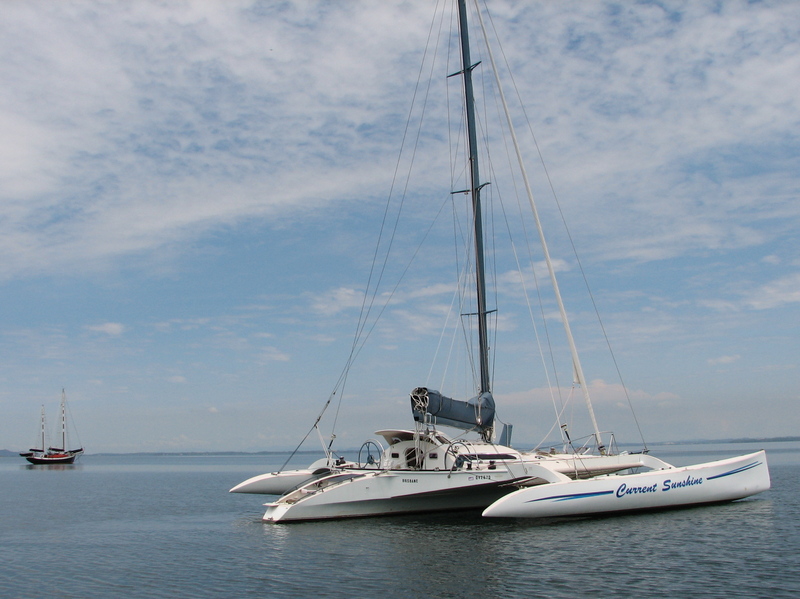 We’re very interested in autonomous solar powered electric mobility and have done some ourselves, such as the sailing trimaran Current Sunshine and river boat Stillness, and been closely involved with others such as Rare Bird. 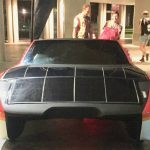 Running on a very tight budget of $200k to $300k per year, Team Arrow has done an amazing job of designing and building such a car when other teams in the solar race have budgets of $2m to $3m. 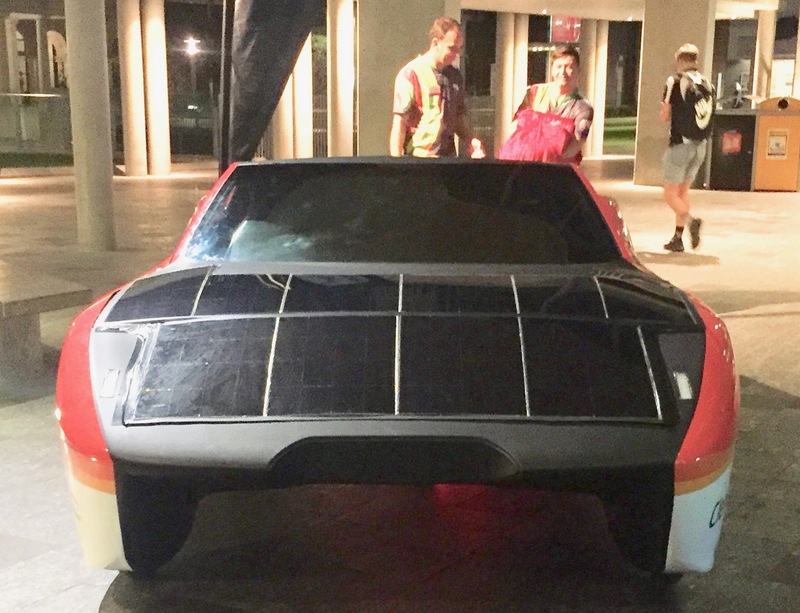 This car is different to the previous cars that Team Arrow has raced in the World Solar Challenge from Darwin to Adelaide — previous vehicles have been special race cars and are not registerable and not really practical as an every day car. 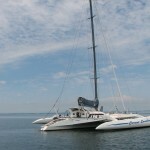 Stillness was commissioned in 2012 and in the five years since then has never been plugged in. 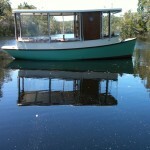 I did buy a plug in charger to use with this boat but its never been needed. It can go all day at full power on batteries alone and typically used about 10 to 15% of the battery capacity when it was on hire in the Noosa river. 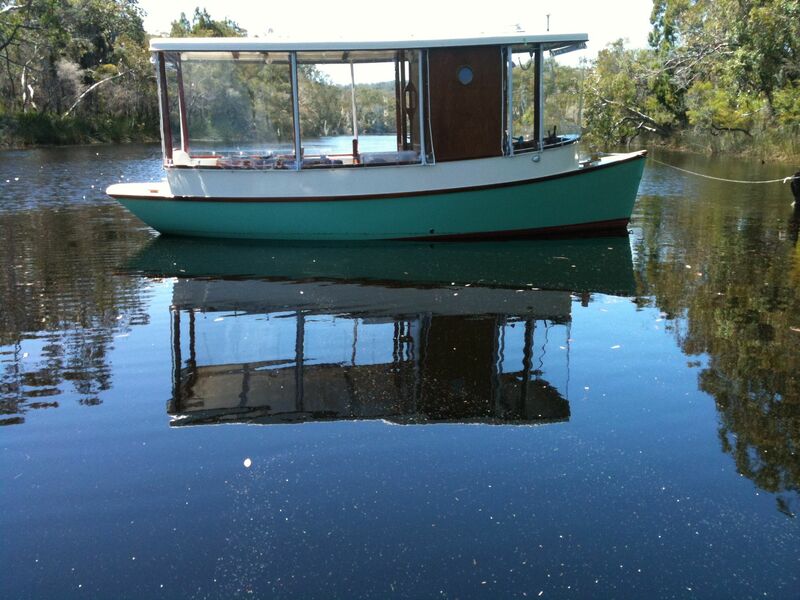 The lowest the batteries ever got was down to 30% after a trip to Lake Cootharaba and right up the Noosa River to the end of the navigable waters. 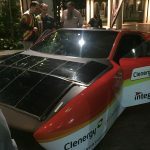 Clenergy Team Arrow STF will be running in the Cruiser class of the World Solar Challenge, which is not the out and out racing class but designed to reward practicality as an everyday vehicle. The car as raced will have no airconditioning or audio sysem in the Darwin to Adelaide event, but when it is registered and running as a regular car these comforts will be added. This will be the prototype model and if you’d like such a vehicle TeamArrow are taking orders. Eco Boats is a minor sponsor for this project and if you’d like to help out in this way swing by to Team Arrow website and check out how you can donate here.